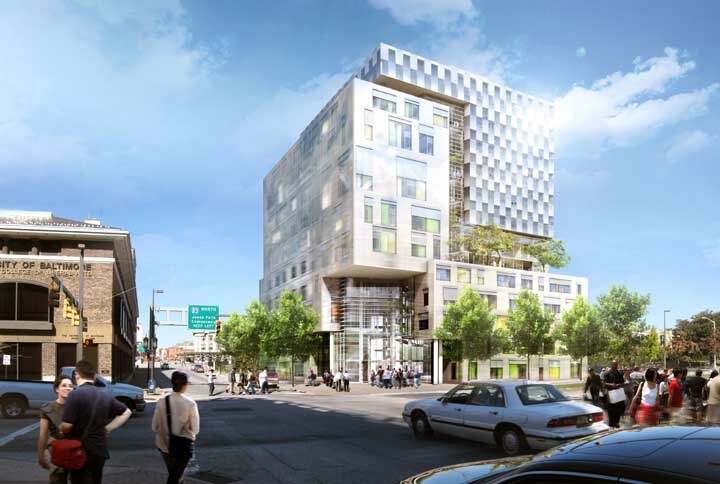 We’ve selected what we feel are the key examples of Maryland Buildings, USA. We aim to include projects that are either of top quality or interesting, or ideally both. 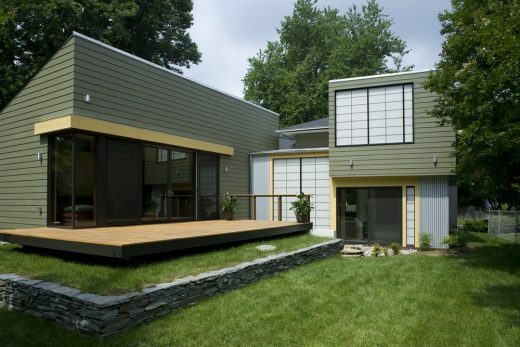 We cover completed Maryland buildings, new building designs, architectural exhibitions and architecture competitions across the state. The focus is on contemporary buildings but information on traditional buildings is also welcome. This contemporary American house is crisply detailed and minimally furnished to allow views of the picturesque site to provide the primary sensory experience. The house was designed as a vehicle to experience and enjoy the incredibly beautiful landscape, known as Diamond Point, seamlessly blending the river’s expansive vista with the space. 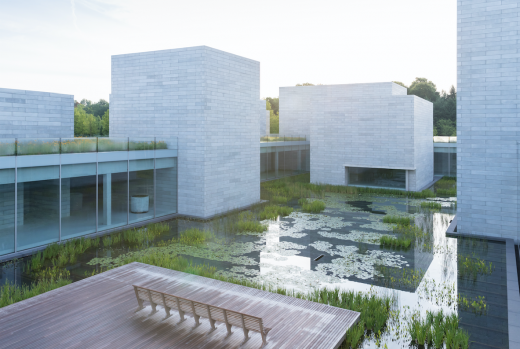 Glenstone Museum announced that an installation surveying the breadth of its internationally renowned collection will be one of the inaugural presentations in its new building, the Pavilions, opening to the public on October 4, 2018. Forest House sits on the edge of a forest conservation area, commanding views deep into the forest, complemented by the sounds of a downhill stream on the property. This 1950’s era split level on a small lot needed expanding for the owners’ pattern of living and improved spatial connections internally and to the site. The owners sought to update the house to a more modern state while preserving memories of its original character. By contrast the design approach for this project integrates analysis of typical characteristics of construction vis-a-vis the era of construction, building-site relationships, and sustainable strategies in order to join competing interests, save the building and preserve its role in the community. The Intelligence Community Campus (ICC-B) in Bethesda, Maryland is the recipient of a 2017 Design-Build Merit Award, given by the Design-Build Institute of America (DBIA). 95% of the time, the new Chrysalis Amphitheater in Merriweather Park of Columbia, Maryland is not programmed. 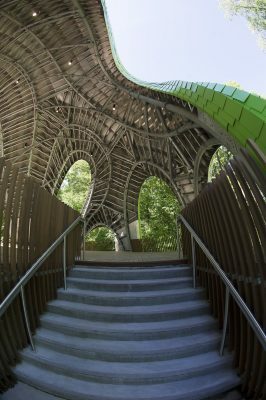 Rather than waiting for official events, architecture studio MARC FORNES / THEVERYMANY maximized the potential of the project brief with a design that provides an experience around the clock. 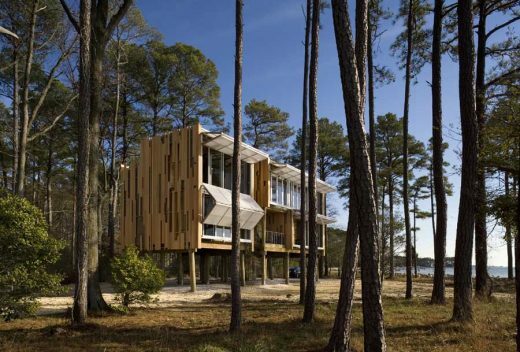 Positioned between a dense grove of loblolly pines and a lush foreground of saltmeadow cordgrass and the bay, Loblolly House seeks to deeply fuse the natural elements of this barrier island to architectural form. 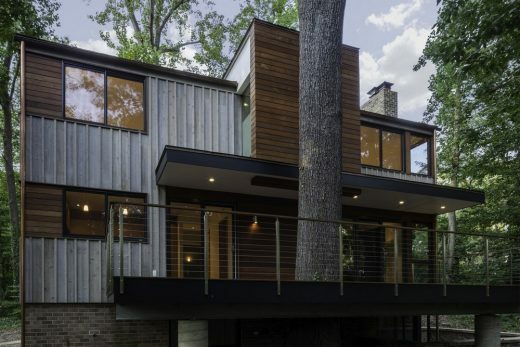 The timber foundations are at once pragmatic because they minimize the disruption to the ground, and poetic because the dwelling is literally founded on the tree. 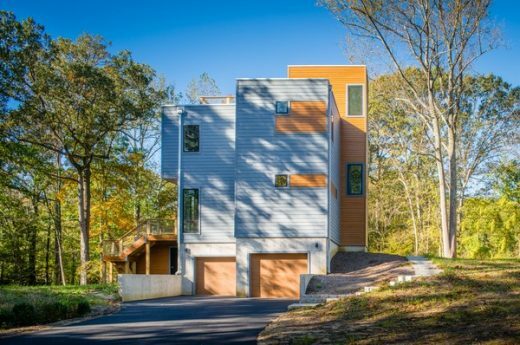 At the same time, the north, south and east elevations are of the forest. The design of the staggered vertical rain screen was literally composed over a site photograph to evoke the abstraction of solids and voids of the forest wall.